Olivia passed away this morning. 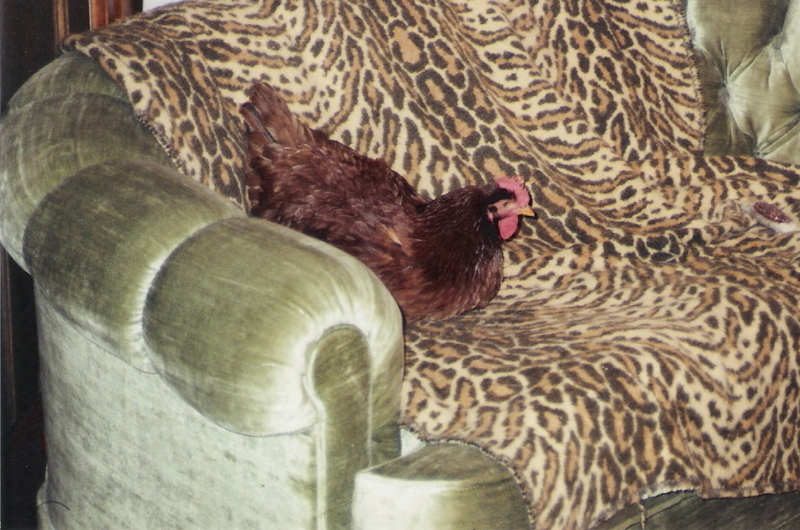 Adopted at three months old during a garage sale visit shortly after our move to Vermont in July 2003, Olivia, a Rhode Island Red hen, lived a privileged life not typical of the average chicken. She enjoyed nearly six years of life and had residences in both Vermont and North Carolina. Since chickens are flock animals, the “flock” she adopted was Sadie and Emily, our dogs, and the cats. Chickens need to be kept warm, so they are normally set up in a chicken coop with a heat lamp or other heating source since freezing one’s poultry prior to beheading and plucking the bird is not recommended by McMurray’s Hatchery. However, the top of the mountain in central Vermont is a cold place; during July and August and part way into September, she was fine outside in her rabbit hutch. However, once temperatures began dropping overnight, my mother began bringing the young Olivia in at night where her dog cage coop complete with roosting box and straw on the bottom were more to Olivia’s liking. Coupled with the location of the dog cage being across from the TV in the carriage house section of the old farmhouse, Olivia could enjoy watching such educational programming as HGTV, Animal Planet, NatGeo Channel, Discovery Channel, TLC and the Weather Channel. Two favourites in particular were The Dog Whisperer, then on TLC, and the Big Joe Polka Show on RFDTV. This “Vermont Parrot” quickly mastered the art of soliciting delicacies from the table and frequently demanded morsels such as potato chips, bread crusts from your sandwich, popcorn, cookies and crackers by jumping up and down in place next to the dining room chair until she got what she wanted. While in her cage, she had the uncanny ability to throw a chicken fit at precisely the time something good came on the television, thus guaranteeing that she would receive a pizza crust, cereal, corn cob or whatever it was that you had that she may have wanted. During the summer months, Olivia enjoyed gardening by patroling the grounds for worms and bugs and tended a grape tomato bush the way a orchard owner tests his fruit – by taking sample bites out of several tomatoes. She also tended the flower gardens by keeping the soil aerated and loose. Living the life of Riley, Olivia even travelled with the rest of the family on vacations to the new home in North Carolina. Like the Clampetts packed for Beverly Hills, several 13-hour driving trips were made at night with cats and chicken sharing Olivia’s large dog cage and the dogs sleeping on canvas suitcases. At first, the new southern neighbors could not fathom a chicken as a pet, but as they got to know Olivia, she won everyone over with her charmingly coy manner and canine pack-behavior. Olivia was known for coming running to the sound of my mother’s voice calling her name as her pavlovian training had ingrained in her the expectancy that she would receive a cookie for compliance. After a long and happy life, Olivia experienced several months of intermittent molting and depression during the recent winter months. Despite vitamin water treatment and an abundance of treats to choose from, Olivia’s health and will to live deteriorated as dementia and memory loss set in. After being bid good night by my mother on the evening of March 20th, Olivia succombed quietly to old age in her sleep. Olivia is survived by Sadie, Emily, the cats and humans. A private memorial service and interrment were held on the morning of her passing. She is buried under the southern magnolia next to the purple fence where she spent many hours digging for grubs and worms. In lieu of flowers, cards or replacement chickens, the family requests that kind thoughts be lifted in her memory. A photo memorial page has been put up in her honor. Sorry to hear about the loss of your Vermont Parrot. I am sure she was so happy to move to warmer climates in her later years. And now we can believe she is in a place of perfect weather for all time…don’t you think? Though I have never met Olivia, I have loved her. I have loved her through the stories I have heard about her coming when called, and more. I have loved her because you loved her. And now I miss her with you. I’m so sorry, it is so sad. She is a one and only. What a blessing she has been. I have never met Olivia, but can tell by her obit, that she was quite a bird! 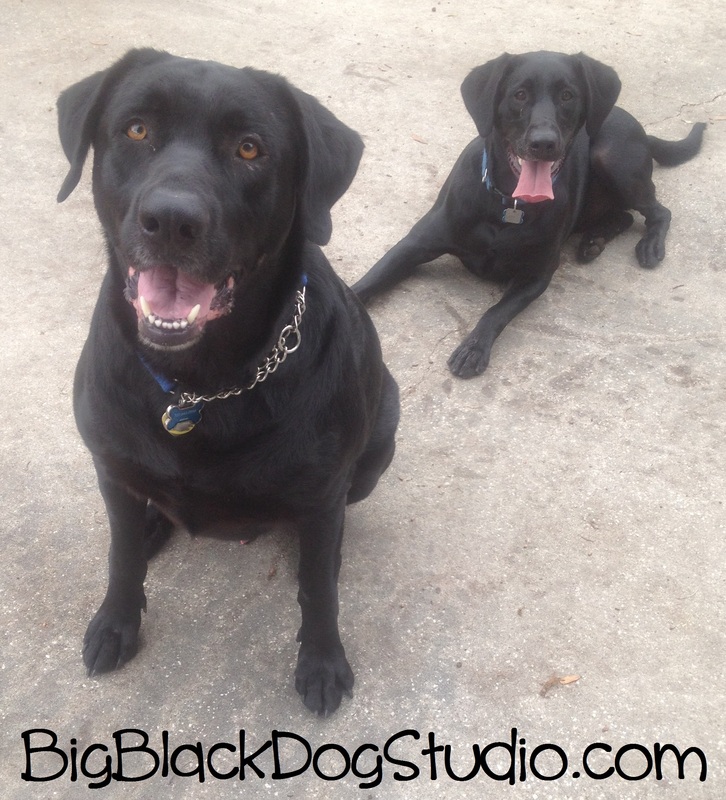 Our pets always hold a special place in our heart. Love ya girl. I am sorry to hear of her passing. I will miss her and all of her chicken charm she brought to your place.